Pinpoint your goals for the succession of your business. For example, your goals might include ensuring the business is successful once you are no longer in control and/or selling the business for maximum value. Identify your team of professional advisors. Meeting with a local business development center can be very helpful. You’ll also want to team up with a business attorney and accountant at the very least. Identify possible successors. This might be one or more people, especially if your business is one that can be bifurcated (e.g. photography and videography). A good place to look for successor owners include your current business (key employees), your competition, and family and friends. Value your company. Your attorney and accountant will be instrumental in helping value your company. This is an art; not a science. Even if you don’t plan to transfer your business for some time, it is still advisable to establish in writing a current value for the company and to continually update the value as the company changes. Discuss with your attorney and accountant any tax and legal implications. Will you be gifting the business to someone? 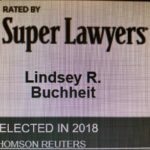 Will your successor inherit the business upon your death or disability? Will you sell the business during your lifetime? If the latter, will the sale be a lump sum payment or a term of years under contract? What business assets (e.g. equipment, real estate, goodwill, bank accounts, inventory, accounts receivable) will be included in the sale? 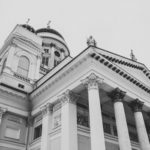 Are there current debts which the company will need to resolve prior to or at the time of the sale? Establish a timeframe for the transition of your business. Consider when you will need to put this plan in motion, keeping in mind that the transfer of a business does not happen overnight. Depending upon the size and nature of your business, the number of employees, your goals, and so forth, you’ll want to start the process much sooner than you probably believe necessary. Plan for post-transfer issues. For example, it may be that in order to ensure a successful transition, you’ll need to stay on as an independent consultant or employee (with a paid salary) for a year or more following the sale or transfer of the business to your successor. You’ll also want to have met with a financial advisor to ensure your proceeds from the sale of the business are well utilized and/or invested to assist you in your new business adventure or retirement. The information contained herein is for informational purposes only, and is not legal advice or a substitute for legal counsel. You should not act or rely on any information herein. 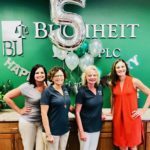 Buchheit Law Celebrates 5-Year Anniversary! 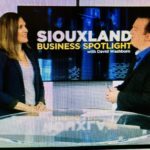 Buchheit Law on KTIV for Business Spotlight this morning!